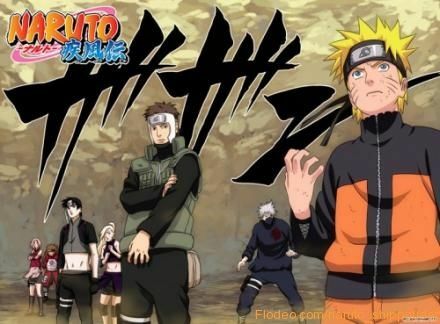 You are going to Watch Naruto Shippuden Episode 90 English dubbed online free episodes with HQ / high quality. Stream Anime Naruto Shippuden Episode 90 Online English dub A Shinobi’s Determination. An ANBU sends a message to Konoha moments before he dies, having discovered what may be Orochimaru’s current hideout. Meanwhile, Orochimaru has Guren initiate a battle among a large number of experimental specimens with the survivors being used for a future operation. Naruto is warned not to use Rasen Shuriken due to its extreme risk, and Sasuke meets a boy called Yūkimaru. Kakashi is ordered to go on a reconnaissance mission with Shino, Kiba and Hinata. Naruto is reunited with Jiraiya, who offers to train with him again.